In our modern world we use technology for practically everything. Whether it is at work on a computer, on an smart phone catching up with news and friends or on a tablet watching YouTube videos, it appears there is an app for everything to help with our day to day lives. 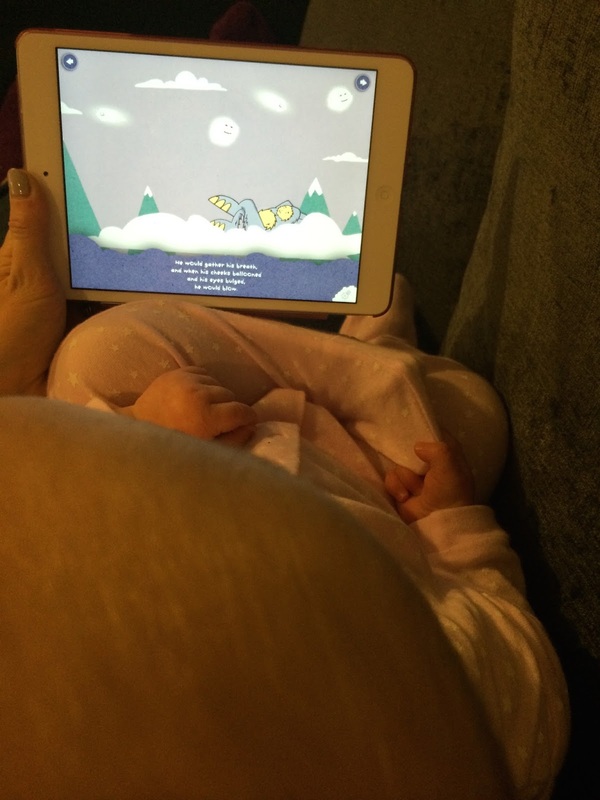 We have reviewed a couple baby/parenting apps in the past and we've been looking at a new storytelling one over the last week. Little Big Foot is a creation from the founders of Mothership Publishing, screenwriter Peter Kline and Video Game Creative Director Alex De Rakoff. It is aimed at children that 5 or under. It is a lovely story with a great message behind it. It tells the story of a young Big Foot as he travels away from his home in search of adventure. When he reaches the big city he quickly becomes a star but soon feels unhappy and he misses home. After being rescued by his dad he realises that everything he was looking for was inside him all along. Isla is only 7 months at the moment so she can't read along with books or interact too much but the Little Big Foot story did hold her attention for quite a while. The colours on the screen are really lovely. Not too bright and migraine-inducing like a lot of kids apps! A lot of other kids story apps can be, well, a bit annoying but I actually enjoyed listening to this one. It is a really nice story that flows very well. There are interactive features on each page which will be really fun when Isla is a bit older. She just grabs the whole screen at the moment. Little Big Foot is available to download here and you can follow them on Twitter here. Go say hi! 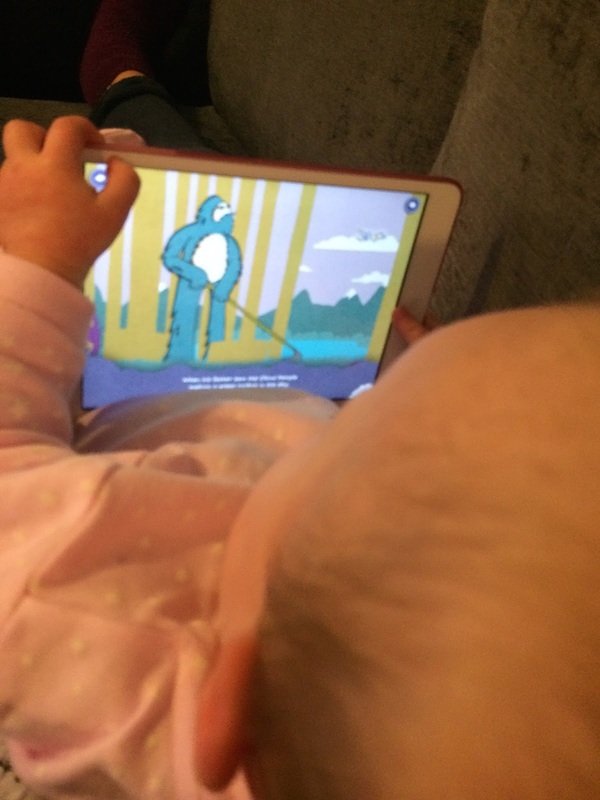 Do you like reading interactive stories on your tablet to your children?